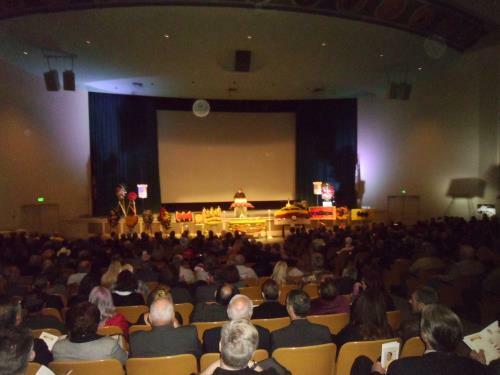 November 28th at Forest Lawn Cemetery in Los Angeles. Saturday, November 5th, 2015, Hollywood Car Kustomizer past away at his home and funeral services were held on November 28th at Forest Lawn Cemetery in Los Angeles. Born in Chicago in 1925, George’s love for cars began at an early age. He and his brother began their careers as kustom car designers in 1938 after receiving a 1925 Buick as a gift from their parents. This Buick became their first kustom work of art. They started building specialty designs for locals and soon after found interested Hollywood stars like Frank Sinatra, Elvis Presley, and Cher among many others wanting unique work done to their cars. Some of George’s famous car creations are, the Munster Coach, the Beverly Hill Billy’s car, and the sensational Batmobile which recently sold for over four million dollars at auction. 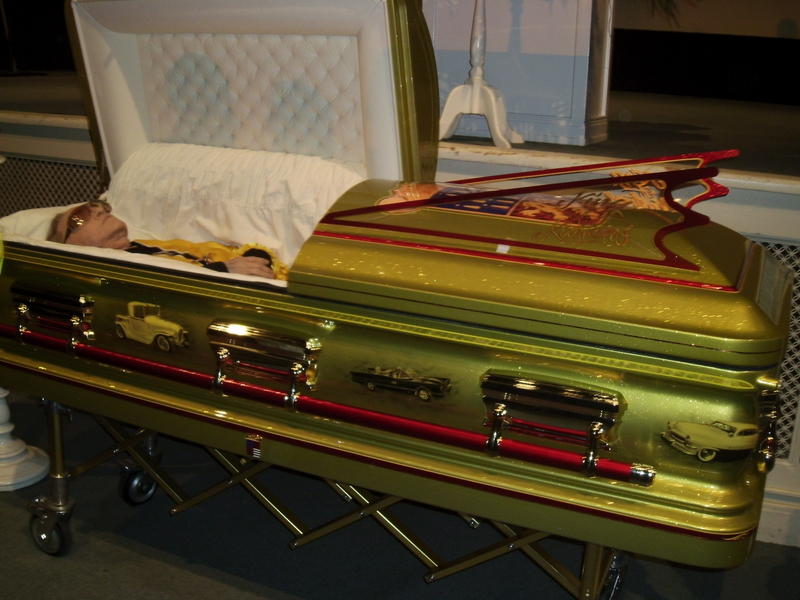 The funeral service was a work of art in and of itself. The huge chapel was filled to capacity with family and friends, car kustomizers and aficionados. Many Hollywood stars were in attendance. Long time Barris publicist and master of ceremonies, Edward Lozzi, opened the tribute to George followed by the Barris family priest, Fr. Frank Hicks’s eulogy and prayer. Then came the startling, eye opening tribute speech by Barry Meguiar, formulator of Meguiar’s Liquid Cleaner Wax. Barry started off with memories of George and their long time friendship and to the audiences surprise, Barry asked “where is George now? Is he in heaven or hell? He wasn’t always a saint, you know, and neither are any of us.” Barry went on to point out how short life is and asked if we have prepared ourselves for our eternity. He said, “Jesus is the way, the truth and the life and no man comes to the father except through Christ”. Well, my friends, he said, “George is in heaven. We prayed many times together and he knew the Lord”. After Barry’s tribute, Blackie Gejeian, a race car driver, race car builder, and hot rod enthusiast, considered an “Industry Legend”, and is the organizer of the Autorama, a custom car show held annually in Fresno, California spoke at length about his long time friendship with the renowned Barris. As well, several Barris family members also eulogized George. 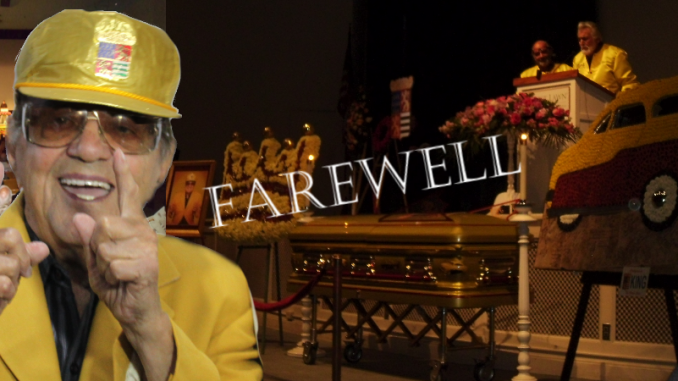 At the conclusion of the service, the funeral procession was followed by a cavalcade of kustom classic cars and their drivers to George’s final resting place at Forest Lawn, Glendale. 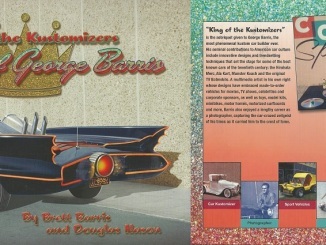 A reception was then held at Galpin Auto Sports in Van Nuys, California where George’s family and friends celebrated the life of George Barris, ‘King of the Kustomizers’.